At HPT we learned long ago if you try to accomplish a fitness goal (to lose weight and body fat, gain muscle, rehab an injury, etc.) without taking your nutrition / diet into account, you may make slow progress or fail to accomplish your goals. At HPT all of our nutritional components of our coaching process are designed to get you better results faster. There are 5 reasons you need a nutrition coach. YOU NEED A PLAN. Sure you can go read a book, you can count calories, and you can cut out the junk. But even then, do you know how to customize this information to you? We will teach you how to translate all the information you learn into what is best for you. YOU NEED ACCOUNTABILITY. It’s easy to start a diet. But, it’s human nature to revert back to old habits. It’s human nature to workout hard, but then eat what you want. Exercising is the easy part, giving up something is the hard part. Sure it's not easy to give up the ice cream; but having regular weigh-ins and body fat measurements will keep you accountable and motivated, and will help you learn when to make adjustments. YOU HIT A PLATEAU. The bottom line is nothing works forever. Eventually you have to change things up as progress stalls. Insanity has been defined as doing the same thing over and over and expecting different results. So if you are stuck and in a rut, change it up with our nutrition coaching! YOU NEED RESULTS FAST (OR YOU WANT TO MAXIMIZE YOUR RESULTS). We believe in starting nutrition right out of the gates. In fact, we tell clients all the time that the first place you should put your money is in nutrition. Clients who start training, and then later add nutrition always tell us, "I wish I would have done the nutrition coaching sooner." YOU WANT TO LOOK, FEEL, PERFORM, AND LIVE YOUR BEST. HPT has been coaching clients in nutrition since 2004. We have guided hundreds of detox and coaching sessions, and we have helped people lose thousands of pounds while gaining hundreds of pounds of muscle. Truncated? Our team of experienced nutrition coaches will help you accomplish your fitness goals. If you don’t think you have time, that’s exactly why you need us. 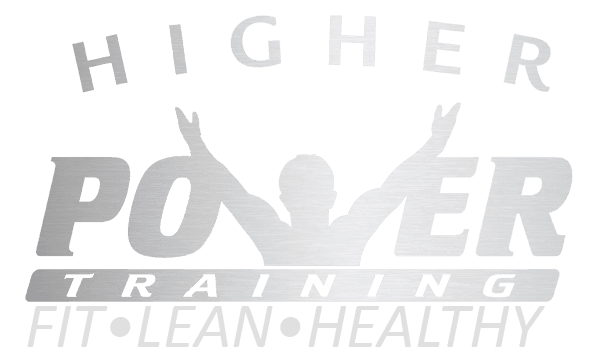 A Higher Power Nutrition Coach will help you get fit, faster. Your nutrition is customized to you. We will teach you what, when and how much to eat. 10 and 21 DAY METABOLIC DETOX COACHING – At HPT, our experience shows that our metabolic detox should be your first step if you want to achieve the leanest physique, best physical performance, and optimal health in the fastest time period. Not only do these benefits happen up front but due to an increased metabolism and improved hormonal chemistry results come faster later as well. Just as a car needs an oil change so do your cells. A metabolic detox allows your engine to rev at a higher rate and to run cleaner.